The Survival Race included this traverse wall in 2018; this year there will be a rock wall. Excitement is at a fever pitch at My Warrior’s Place (MWP) in Ruskin as President Kelly Kowall and her enthusiastic team prepare for their second MWP-sponsored Battle of the Bay by Land, Sea & Air this weekend (Feb. 8 to 10). Kowall said that online registrations have been coming in at a good clip, and they are optimistic that fun-loving competitors from around Tampa Bay will exceed the nearly 200 who participated last year. Each first-place winner, whether it is an individual or member of a team, will receive a prize package worth at least $500. Detailed information on competitions, fees and registration are at www.botbmwp.org. “Battle of the Bay by Land, Sea & Air is a community effort bringing together individuals, businesses and organizations,” said Kowall. She said financial support is always welcome, but an event of this scale isn’t possible without contributions of manpower, venues and services. Among the supporters are Harley-Davidson Brandon and the Fran Haasch Law Group, sponsoring the Scavenger Hunt & Missions Ride for the Fallen; Gun Craft, Combat Speed and ECS, are sponsors of the shooting event; Tampa Bay Fishing Club and FAVE Boating Expeditions, are hosts of the fishing event; and Skydive City hosts the skydiving competition. Pearson Capital and RJS Law Group are sponsoring the kickoff and awards dinners and providing entertainment by Nashville recording artist Barry Michaels. CAE USA is sponsoring the survival race with Harborside Suites and My Warrior’s Place hosting that event at Little Harbor. Harborside is also donating accommodations for celebrity guests and offering special rates to participants. The professionals at Gun Craft keep a close eye on 75 shooting competitors. The public is welcome to attend any of the scheduled competitions and dinners. Spectator attendance is free; the dinner tickets are $15. Reservations can be made at www.botbmwp.org. Both the kickoff dinner at 6 p.m. Friday, and the awards dinner at 5 p.m. Sunday, will be at Del Webb Southshore Falls ballroom in Apollo Beach. On Saturday during the survival race (9 a.m. to 1 p.m.), there will be music, food, drinks and displays of vendors from 9 a.m. to 5 p.m. Also on Saturday in Brandon, the Scavenger Hunt & Missions Ride for the Fallen starts at Harley Davidson and the fun will include vendors, music, food and drinks for an “after” party from 3:30 to 6:30 p.m. 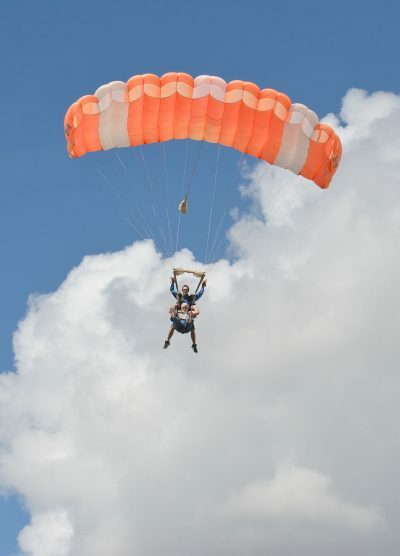 The skydiving, fishing and shooting competitions are all held both Saturday and Sunday. Kowall calls the survival race on Saturday especially spectator-friendly. Last year 11 teams competed. It is a timed, two-person-team event that includes rock wall climbing, kayaking, accuracy throwing, fire-making, obstacles and other challenges requiring stamina, strength, mental aptitude and finesse. Walk-in participants are welcome for this event although preregistration is recommended. After the race ends at 1 p.m., the course will remain open for the public to try their skills. Six solo and six tandem skydivers competed at Skydive City last year. Their goal was to land closest to the target. 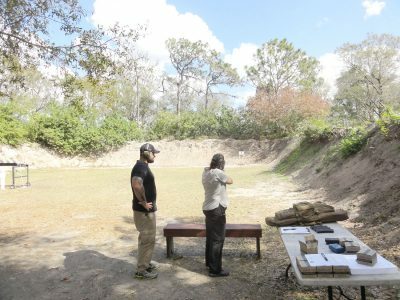 My Warrior’s Place is a retreat that welcomes veterans, military service members, law enforcement officers, firefighters, and Blue, Silver and Gold Star families who want to relax and “get away from it all.” It is funded entirely by donations and operates with volunteers. Each month on the first Tuesday the public is invited to drop in at 101 22nd St. N.W. in Ruskin for a tour and free coffee and doughnuts. For more information, visit www.mywarriorsplace.org or email Kowall at kelly.mwp@gmail.com.